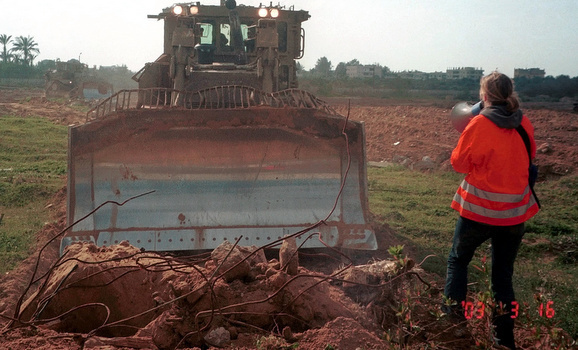 A decade on, some justice for Rachel Corrie's family? Whatever the verdict in the Haifa court tomorrow, the case of Rachel Corrie sheds light on the Israeli army's crimes. Tomorrow, Tuesday, August 28, Haifa District Court in Israel will announce the verdict in the civil lawsuit brought against the State of Israel for the killing of Rachel Corrie in March 2003. For the best part of a decade, Corrie's family has been seeking justice and accountability for the crushing to death by a bulldozer of the American human rights activist. The lawsuit, originally filed in 2005, charges the State of Israel "with responsibility for Rachel's killing and failure to conduct a full and credible investigation in the case". I have been given access to professional translations of the legal summaries submitted to the court, which analyse the evidence, court testimonies and legal arguments. Whatever the judge's decision, this case has shed light on Israel's grave breaches of human rights and the impunity enjoyed by its military. In the summary submitted by the State of Israel, it is claimed that "the IDF is a cautious, proportional, considerate, humanitarian army that acts with caution, proportionality and reasonableness". Yet evidence in the case, corroborated by other incidents external to the killing of Rachel Corrie, suggest that the Israeli army has killed civilians - Palestinians and internationals - as a result of official policy. We must not, as an army, allow such incidents to disrupt the ongoing missions. We are aware of the problem of the foreigners in this area and, as a policy, we do not halt activity because of the presence of foreigners in the area in order to avoid creating a dangerous precedent... But again, this incident was unavoidable and these foreigners should be dealt with and prevented from entering the Strip. Here, the IDF officer states that the reason why the bulldozers did not stop their work, despite the presence of foreign activists, was not because of any "security" imperative but to avoid creating a "precedent". Even more shocking evidence was to follow. The battalion log then records Sh R as stating that "the rules of engagement are to shoot to kill any adult person on the route". In the State's document, the accuracy of the log at this point is immediately denied, with Sh R testifying that those were not his words "and apparently the operations sergeant misunderstood him" - only a person "identified as a terrorist should be shot to kill". However, when the former Gaza Division’s Southern Brigade Commander Colonel Pinhas (Pinky) Zuaretz - in charge in 2003 - was questioned in court, he affirmed these instructions. Q: And on the level of principle, a person who comes to this [Philadelphi] route in the daytime, it is permissible to kill him. When Col Zuaretz was shown the deputy commander's remarks in the operations log, "he said that the statements were correct and accurately reflect the open-fire orders and that every adult person who comes into the route, from the standpoint of the open-fire orders, can be hit". These words are all the more chilling when you remember that within seven weeks of Rachel Corrie's killing, award winning journalist James Miller and activist Tom Hurndall, both British citizens, were shot and killed in Rafah - and in the case of Miller, the same deputy commander was involved (as he testified to during questioning by the plaintiffs' lawyer as part of the Corrie suit). The Israeli soldier convicted of manslaughter in the case of Tom Hurndall, Sergeant Taysir Hayb, told a military court that he only did what he was "supposed to", that "anyone who enters a firing zone must be taken out. [The commander] always says this". He added: "They tell us all the time to fire; that there is approval. All the troops [in Rafah] fire without approval at anyone who crosses a red line". That summer, a report by Chris McGreal for The Guardian documented in detail incidents of Palestinian children being killed by the Israeli army. A military spokesperson told McGreal that he could not name the IDF commander in Gaza in his article, since "he has admitted his soldiers were responsible for at least some of those killings" and "in this day and age that raises the prospect of war crimes, not here but if he travels abroad he could be arrested sometime in the future". That commander, of course, was Col Zuaretz. The Rachel Corrie lawsuit has further exposed a culture of impunity in the Israeli military, where claims of unlawful killings and war crimes are ignored, or superficially investigated. 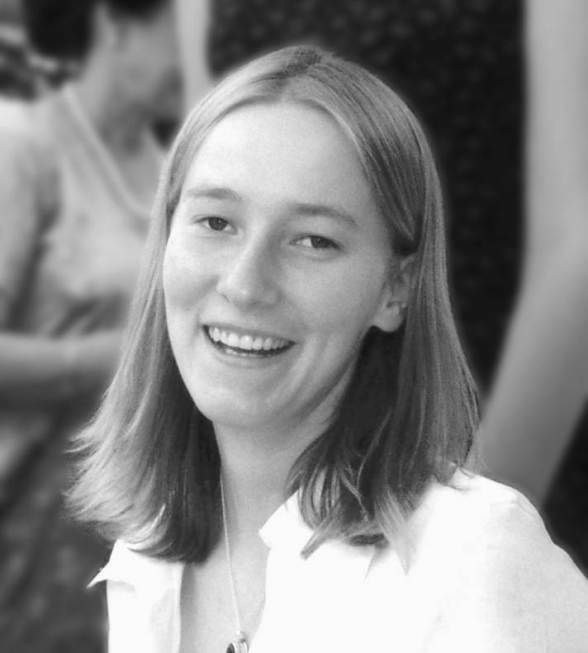 The plaintiffs' summary, for example, describes how the doctor who carried out the autopsy on Rachel Corrie at the Institute for Forensic Medicine "destroyed evidence documenting the proceedings of the autopsy, evidence that might have contained additional findings supporting the plaintiffs' version". Overall, the plaintiffs claim that "the work of the investigation team" suffered from "significant defects", with a lack of "ingenuity, experience and possibly even the will to arrive at the truth". For seven years, we have pressed the government of Israel at the highest levels to conduct a thorough, transparent and credible investigation of the circumstances of her death. The government of Israel has responded that it considers this case closed and does not plan on reinvestigating the incident. This serious criticism echoes findings in the 2005 Human Rights Watch (HRW) report "Promoting Impunity", [PDF] which adjudged Israel's "operational and Military Police investigations into Corrie's killing" to have fallen “far short of the transparency, impartiality and thoroughness required by international law". HRW was able to obtain a copy of the summary of the IDF's "operational investigation", a document "laden with generalities and emotive commentary", containing "major factual errors" such as the incredible statement that "no signs substantiate assertion that Ms Corrie was run over by a bulldozer". Just last week, Human Rights Watch issued fresh condemnation of what it called Israel's "broken military criminal justice system" following a military trial that "failed to hold anyone accountable for the killings of a mother and daughter" in Gaza during the massacre of "Operation Cast Lead". Human rights organisations have long complained about the lack of accountability in the Israeli military. Various studies have produced statistics such as "a complaint made to the military law enforcement bodies of offenses by soldier against Palestinians have a 96.5 per cent chance of being dismissed without an indictment being filed against the suspected soldiers". Over a 10-year period, indictments were filed in just 3 per cent of the cases where B'Tselem demanded a criminal investigation into the killing of Palestinians by soldiers. The plaintiffs end their response to the State of Israel's summary with the Mahmoud Darwish poem "Think of Others", "on the premise that these are the words the deceased would have addressed to the soldiers who were involved in precipitating the end of her young life". Another Darwish poem, "Our Country is a Graveyard", is a reminder of the injustices recorded and resisted by Rachel and many others - and an opportunity to affirm that those responsible will have their day in court. Ben White is a freelance journalist, writer and activist, specialising in Palestine/ Israel. He is a graduate of Cambridge University. My Name is Rachel Corrie, a play based on the diaries and emails of Rachel Corrie, is now showing in Jerusalem. The play tells the story of Corrie, a young American woman who traveled to the Gaza Strip during the Second Intifada, who was crushed to death by a bulldozer as she was trying to prevent the demolition of a Palestinian home. Although the play has received much praise, it has also caused a storm at the Khan Theater in Jerusalem. Jerusalem’s Municipality even threatened to cut the Khan’s budget should the play go on as planned, angering many actors. On March 16, 2013, the tenth anniversary of American peace activist Rachel Corrie’s death was marked by no grand commemoration ceremonies. The Nasrallah family, however, as they do every year, went to where their demolished house once stood to place flowers at the scene of her murder. Even though the neighborhood has changed and the tunnel area at the Egypt and Gaza borders has been completely transformed, the Nasrallahs cannot forget. Al-Monitor met with the Nasrallahs in their small and humble rented house. They shared their memories from that year, as clearly as if it all happened yesterday and not a decade ago. Samir Nasrallah talked of how members from the International Solidarity Movement were staying with the family to protect them and prevent Israeli bulldozers from storming the neighborhood and demolishing their house. At the time, one of the family friends mentioned Corrie to Samir and informed him that she was willing to stay to support them. So they hosted her. Samir remembered a moment when the bulldozer, intent on demolishing the house, was only 40 meters away. Rachel stood with her fellow activists to halt the demolition. She spoke with the driver in English using a megaphone, saying that the house was safe and that it sheltered harmless children. Nasrallah said, “I was watching what was happening through a hole in the house’s wall. I remember that the driver pulled out the soil from under Rachel's feet, which made her lose balance, and then, when she fell, he ran over her.” Nasrallah recalls how he ran to her with her activist friends, who collapsed at the sight. They then took the photos that were later spread widely. Samir affirmed that Corrie died at the hospital due to fractures in her spinal column, internal bleeding and a severe injury to her face. She was surrounded by doctors and journalists, yet she could not be saved. Itimad said Rachel has left a memory that ignites a hopeless anger in their hearts. 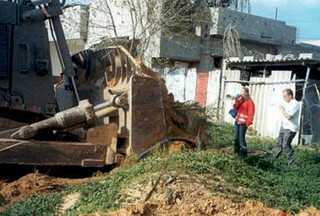 She noted how the Israeli bulldozers made haste to come back to their house and demolish it shortly after the incident. They had no one to protect them at those hard, fearful moments, especially when the Israeli army threatened to use their son Kareem as a human shield. Their minds teem with memories of Rachel and her heroic act. According to a report issued by the Palestinian Center for Human Rights, 319 houses were demolished in Rafah, on the Egyptian border, from the beginning of July 2002 until the end of March 2003. If you include the period since the beginning of the second intifada in 2004, that figure increases to 1,059 houses. Kareem vividly remembers that day in all its painful details, telling Al-Monitor, “The bulldozer ran over Rachel.” Kareem was 14 at the time. He ran to call an ambulance and explained to the paramedic that a foreigner was crushed by an Israeli bulldozer. The dispatcher hung up, thinking he was pulling a prank. Khaled, Kareem’s uncle, had to call them again confirming Kareem's story. Corrie was transported to Youssef al-Najjar hospital in Rafah, where she passed away. Reem, the second daughter, was 12 when it happened. She recounted how the family went with Rachel’s parents and friends on the first anniversary of her death to the place where she died and placed flowers. The Nasrallahs have continued to do so ever since, even though the whole area looks completely different. Samir described his shock when he heard the decision. Rachel had been moving around in front of the driver wearing neon-colored clothing and talking to him through a megaphone. “How is it possible that he didn’t see her?” Samir reiterated the importance of not letting the case fall through the cracks, saying the US State Department and the whole world should seek justice for Rachel, who worked her whole life to bring justice to the oppressed. “Rachel stayed with us for a short while to protect our house. Yet, through her death, she remained with us forever and her memory will be held dear every second of every minute,” he said. Speaking about the low number of ceremonies marking the tenth anniversary of Corrie’s death, Khalil Abu Shammala, head of the Al Dameer Association for Human Rights, told Al-Monitor that on the public level, the anniversary was not ignored. Many foundations named their halls and libraries after her and kept thousands of her photos. The problem lies in the political situation: The political leadership is drawing away from taking part in such events due to divisions. Many believe that is why her case is no longer promoted as it should be. Asmaa al-Ghoul is a contributing writer for Al-Monitor's Palestine Pulse and a journalist from the Rafah refugee camp based in Gaza. Fabricated claims On 28 August last year, during a report on the Israeli court ruling of the same day that Corrie had been responsible for her own death, the BBC’s Martha Kearney was interviewing Israeli government spokesperson Mark Regev on Radio 4’s World at One. 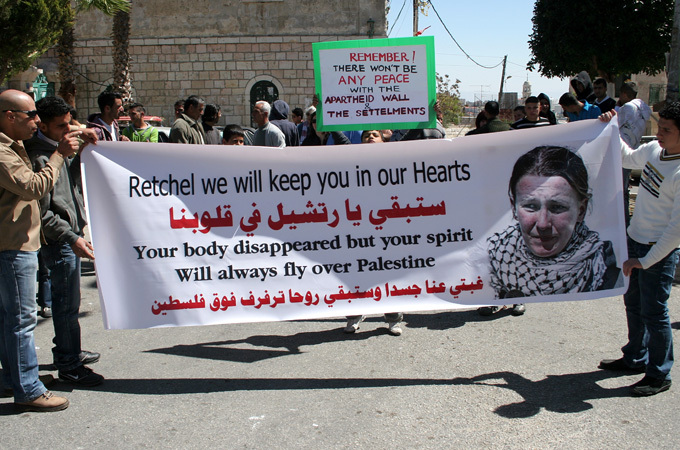 Inventing Israeli deaths If, during the course of her World at One interview, Kearney had said to Regev: “Clearly Rachel Corrie was one of the casualties of what happened that day, and I know Palestinians died too,” that would have been truthful. But such a statement would have given BBC radio listeners far too much knowledge of what was going on inside Gaza — that Palestinians as well as international activists were being killed by Israeli forces. Warped view of news Kearney’s distortion of facts, and her insertion of invented material into her interview with Regev, was defended by the BBC. Its veteran presenter had been right to refer to non-existent Israeli fatalities “that day,” because, it said, there had been Israeli deaths on other days. Bizarre explanation However, because the Israeli-centric BBC regards the “overall situation” as being one in which Israeli soldiers are defending their lives from unarmed protesters and Palestinians, who have no rationale for their actions, Steel can feel justified in saying that the World at One audience would not have been misled if it, too, came away with this impression after listening to Kearney’s fabrication. Hypocrisy That both those deaths occurred in the West Bank, not Gaza, and had nothing to do with Corrie, house demolitions, or the incident in which she was killed, seemed to be neither here nor there for the BBC. Hardly surprising when you consider the poor grasp it has on the importance of accuracy in responsible journalism. On Tuesday 26th March, the BBC has admitted that a reference it made to Israeli soldiers dying on the same day US activist Rachel Corrie was crushed to death by an Israeli bulldozer in Gaza was not 'duly accurate'. No Israeli soldiers were killed on that day, Palestine Solidarity Campaign (PSC) said in a press release. The claim was made by veteran BBC presenter, Martha Kearney, on BBC Radio 4's World at One programme, on the day an Israeli court ruled that Israel was not to blame for Corrie's death. PSC has been lobbying the BBC for seven months, since the broadcast in August 2012, to extract an admission that Kearney's false claim constituted a breach of the BBC's Editorial Guidelines on Accuracy. During a segment dealing with the court ruling on 28th August, Kearney interviewed the Israeli government spokesperson, Mark Regev, to ask for his views on the case. In the course of the interview, she said to him: 'Clearly Rachel Corrie was one of the casualties of what happened that day – and I know Israeli soldiers died too'. PSC objected on the grounds that Kearney's statement was false and on the additional grounds that the presenter seemed to be implying conflict 'that day' between Corrie - an unarmed civilian protestor - and the Israeli army which had resulted in armed Israeli soldiers being killed. In an online apology printed in September 2012, the BBC continued to defend Kearney, saying: 'Two Israeli soldiers were killed in the previous week.' However, neither of those soldiers were killed in Gaza, but died in the West Bank, and their deaths were entirely unrelated to Corrie and her actions on 16th March 2003, the day she was killed. Palestinian official news agency WAFA reported that the Rachel Corrie Foundation for Peace and Justice (RCF) launched last week a bus ad campaign to highlight the rights of the Palestinian people, according to a statement published Monday. The campaign coincided with the tenth anniversary for the Israeli army killing of American human rights activist Rachel Corrie in Gaza and with US President Barack Obama's visit to Israel and Palestine. The regional ad campaign called for "equal rights for Palestinians as the way to peace." Interior bus ads designed by Seattle Mideast Awareness Campaign (SeaMAC) and funded by SeaMAC and RCF began running last week in Olympia, Washington, and will stay up for four weeks on a dozen Intercity Transit buses, said the press statement. "The ad campaign is part of a larger effort to urge Obama to demand accountability for how U.S. tax dollars and arms exports are used by the Israeli military and government and to insist on Israeli compliance with U.S. arms export law," it explained. Cindy Corrie, RCF cofounder and mother of Rachel Corrie, stated, "U.S. military aid to Israel should not be used for home demolitions, settlement building, and oppression of a civilian population. President Obama should insist that any U.S. tax dollars to Israel be used lawfully in the name of peace rather than to fuel conflict." During Obama's speech in Jerusalem last week, a Palestinian citizen of Israel interrupted him, shouting out to draw attention to discrimination Palestinians and other non-Jewish citizens of Israel face and to US funding that provides weapons used by the Israeli military to harm Palestinians. The protester, Rabbe Eid, also posed the question, 'Who killed Rachel Corrie?' highlighting the connection between the injustices Palestinians face on a daily basis and the lack of accountability and justice in the Corrie case. According to the U.S. Campaign to End the Israeli Occupation, a national coalition of more than 400 groups that work to end U.S. support for Israel's occupation of the Palestinian West Bank, Gaza and East Jerusalem, $731,757,769 of Washington State taxpayer money over a 10-year period goes to fund the Israeli military. "That money could instead be used to provide each year head start programs to 21,636 children, affordable housing vouchers for 8,885 families, green job training for 12,147 people, or primary health care for 592,612 individuals," said the statement. Rachel Corrie was killed on March 16, 2003, by an Israeli military Caterpillar bulldozer funded by the US Government as she tried to prevent the demolition of a Palestinian home in Rafah at the southern tip of the Gaza Strip. Her family has been engaged for a decade in seeking accountability through efforts with the US and Israeli governments and in Israeli courts. On March 16, 2003, my daughter Rachel Corrie was crushed to death under a bulldozer driven by an Israel Defense Forces soldier. The bulldozer was manufactured in the United States by Caterpillar, Inc. and paid for by U.S. foreign military financing aid. My tax dollars paid for the machine used to kill my daughter. Not only was this statement not supported by accounts from Rachel’s friends and their photographs, it was subsequently contradicted by Captain R.S., the highest ranking IDF officer on the scene. In Haifa District Court in April 2011, he pointed to the blade marks on the ground in one of the photos, and swore he knew in the first minute that the bulldozer had run over Rachel. But in the words of Michelle Bernier-Toth, U.S. Department of State's Managing Director of Overseas Citizens Services in 2008, “We have consistently requested that the government of Israel conduct a full and transparent investigation into Rachel’s death. Our requests have gone unanswered or ignored.” This is the response from a government that last year received four billion dollars of aid from American citizens – aid U.S. law prohibits being used in human rights violations! What then would I ask President Obama to do as he makes his way to Israel and Palestine this month? Assure Prime Minister Netanyahu and President Abbas alike that we will stand with them for the just aspirations of all their citizens, including the equal recognition to their right to be free of threats to their homes, families, farmland, and future. Explain that the U.S. will no longer support financially or diplomatically the apartheid system embodied in the occupation of Palestine and in the treatment of Palestinian citizens of Israel. Remind them that security cannot come at the expense of the other, but only with the participation of both. Rather than giving license to a government’s most violent instincts by repeating endlessly that Israel has a right to defend itself – ignoring that Palestinians also have that right – call instead for the courage of each side to live by the ceasefires negotiated but left unsigned or ignored. President Obama should refuse to continue U.S. military and diplomatic support until Israel gives truthful answers to our questions, not just for U.S. citizens like Rachel and Furkan Dogan, but for all the civilians killed or maimed using U.S.-funded weapons. Use this trip to a deeply troubled and divided place to remind the world that Americans believe all people “are created equal, that they are endowed by their Creator with certain unalienable Rights, that among these are Life, Liberty and the pursuit of Happiness.” Then, make this first principle of America’s existence the foundation of his foreign policy for the next four years. Corrie is the father of human rights activist Rachel Corrie and co-founder of the Rachel Corrie Foundation for Peace and Justice. March 16, 2013 marks the 10-year anniversary of our daughter, Rachel Corrie’s death. We thank you all for the love and support you have sent us over the last 10 years, and we thank you for all the work you do on human rights. Please view and share this video and act. 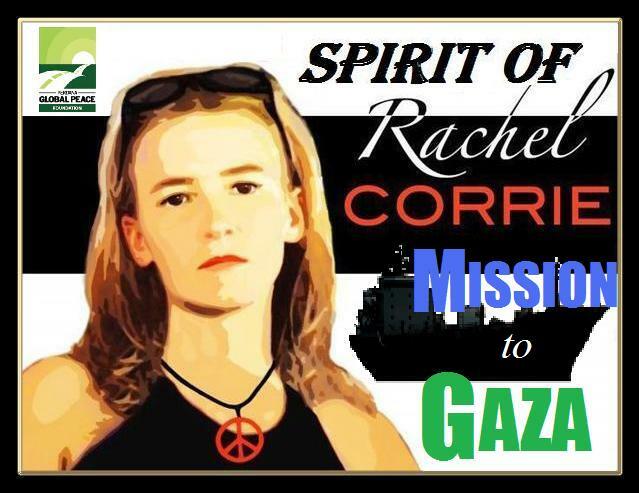 Join us at the Rachel Corrie Foundation for Peace and Justice in our call to action! 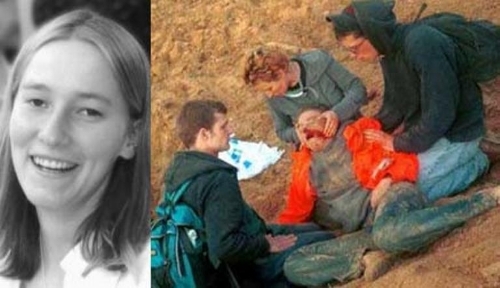 10 YEARS LATER – REMEMBER RACHEL CORRIE AND ACT! It has been an extraordinary, challenging ten-year journey for our organization, for the Corrie family, and for those in our community and beyond who have worked tirelessly for justice and peace in Palestine and Israel, in the world, and at home. Here in Olympia, we have plans for a Stand for Justice Rally, speakers, music, dance, food, reflection, remembrance, and community! See event listing here. This dynamic weekend of events will be a kick-off to a year of Peace Works events. We encourage you to participate in the kick-off by completing at least one action from our Call to Action. Now, we call on you – individuals, organizations, and communities - to join us in these actions and with your own creative, solidarity events or observances! Mark this 10-year anniversary! Call out Caterpillar, Inc. now on its faulty actions and explanations! Challenge the appearance of CAT’s Washington Director of Government Affairs at AIPAC! Tell CAT to own up to its business with Israel and to end its complicity in violations of human rights and international law in Israel/Palestine. See how to help here! Mark this 10-year anniversary! Tell President Obama to use his March Mideast trip to see for himself, to demand compliance with U.S. laws and policies, and accountability for how U.S. tax dollars are used by Israel. See how to help here! Mark this 10-year anniversary! Demonstrate your support for the rights of Palestinians that Rachel, many other internationals, Israeli activists, and Palestinians have stood to defend! Reflect, connect the dots, and strengthen your community’s commitment to justice for Palestinians and peace in the Mideast. Let us know what you plan so we can share and inspire others! Send your photos for our TUMBLR. See how to help here! Let’s use this March anniversary as an opportunity to make some noise and be visible in our support for equal rights for Palestinians, accountability and justice, and an end to Israeli occupation! Let’s remember, act, and celebrate together – how we (like Rachel) have stood this past decade for justice, freedom, equality, and peace in the Middle East and beyond – and let’s think together about how we move ahead to make freedom for Palestine a reality.